Celebrate the holiday season in Sedona, and witness the country's largest 3D holiday light show in The Most Beautiful Place on Earth. For 4 days only, don't miss this once in a lifetime chance to see this spectacular light event and celebrate the Season. 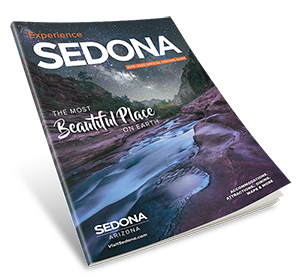 Viewing areas throughout Uptown Sedona and Gallery Row. Music can be heard at KAZM 780AM.